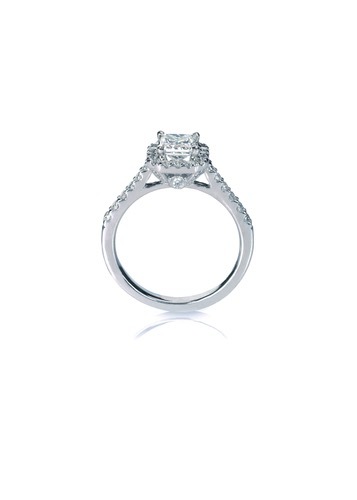 Engagement rings are a very important component of the engagement process. 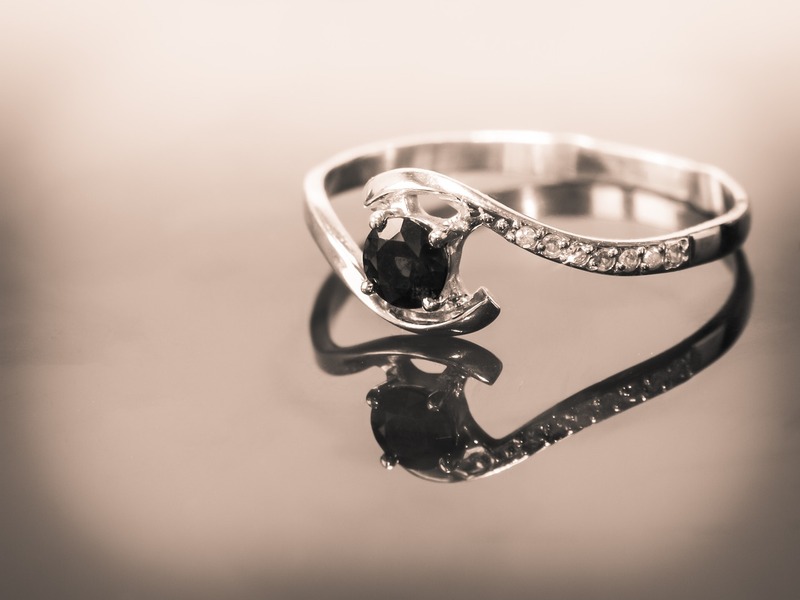 An engagement ring is a symbol of a couple’s commitment to each other and, often, there is a lot of pressure for an individual to find something that is suited perfectly to the taste of their future partner. 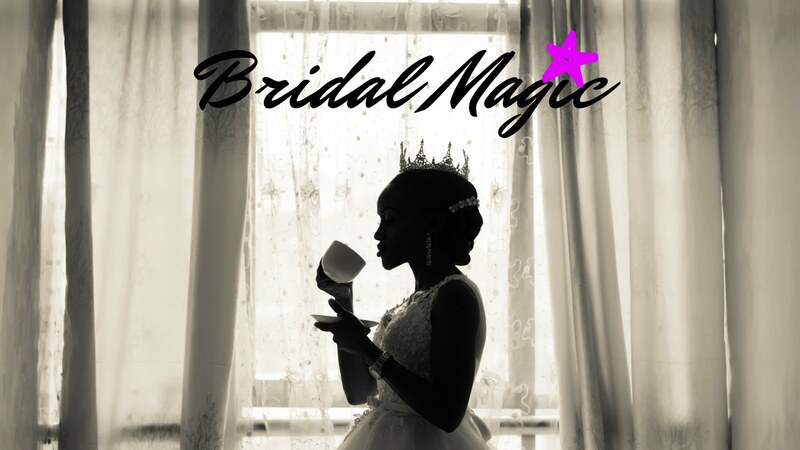 There are many brides who are looking for a traditional engagement ring, which usually includes a gold or silver band, with one centered rock in a round or square cut. While these looks are very feminine and timeless, many brides are now opting for designs that are a little more unique and more reflective of their personal style and preferences. for the important purchase, the following are some stylish engagement rings for non-traditional brides. Not all diamond rings need to be designed with one large centerpiece; in fact, a lot of unique rings incorporate multiple smaller diamonds for a different effect. 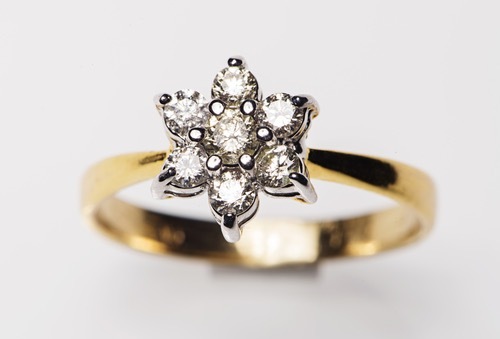 A floral ring shows off sparkling diamonds spread among the various petals, and these rings can be designed in all different kinds of flower shapes to please the wearer. This is a non-traditional ring design, but it remains very feminine like the traditional style with a little more personal flair. Generally, there is one centerpiece diamond, with smaller diamonds surrounding it to make a beautiful halo shape. 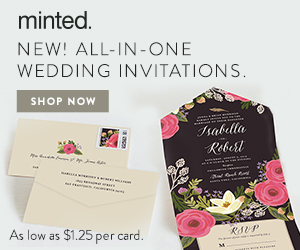 Whether in gold or silver, this unique design is certain to please any flower lover or bride looking for something a little different. The teardrop-shaped engagement ring is a very popular style right now, and it’s perfect for a bride who wants something unique without going too far away from the traditional ring style. The teardrop shape is essentially a mixture of both diamond shapes: a round-cut and a square-cut diamond, including both circular and pointed elements to give it a unique shape. One of the popular shapes for engagement rings is the emerald-cut diamond; however, brides who are looking for something even more unique might consider this engagement ring that shows off additional cut sides and a lot of sparkle. The halo of smaller diamonds in this ring make an octagon shape, while the centered diamond is slightly raised for an added level of dimension that you don’t normally see in the simpler styles. This technique creates a shape similar to that of a pyramid, which comes to a slight point at the top. 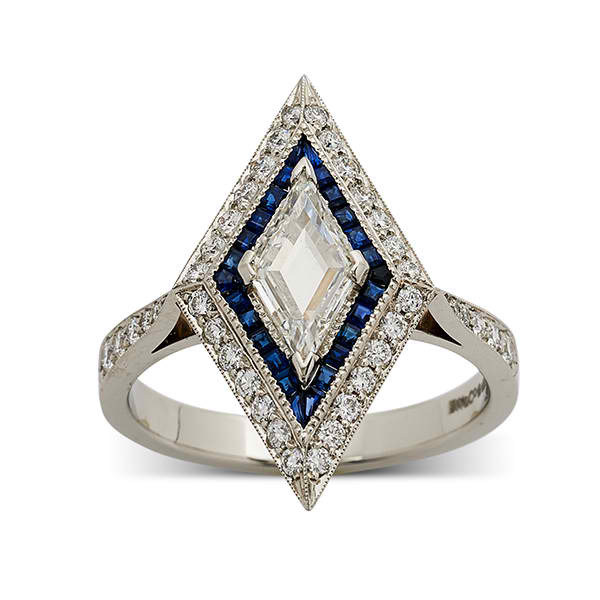 It’s a statement ring with some great geometric lines, and those brides who are looking for their diamonds to shine from all angles will certainly love this look. Photo via E Wolfe & Co. 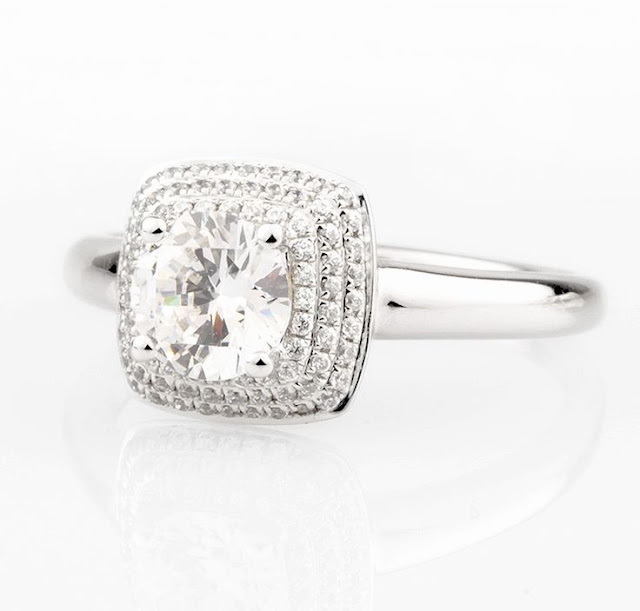 Some brides prefer a small, simple design when it comes to their ring. On the other hand, some brides will prefer something that takes up most of their finger, and that’s where this kind of unique ring style comes in. The lozenge-shaped ring is skinny and elongated and, often, covers at least half of the finger with its distinct shape. The great thing about this type of unique engagement ring is that there is a lot of area to work with, so these rings are often personalized in various ways for non-traditional brides. Some of the different effects of the lozenge-shaped ring include different colored gemstones, diamond outlines, and pearl details. This kind of style is incredibly stylish—it’s a statement piece that has a very modern look. Keep in mind, because of its size, that it often looks better fitted to brides with longer ring fingers. Not every girl has always thought that diamonds were her best friend. 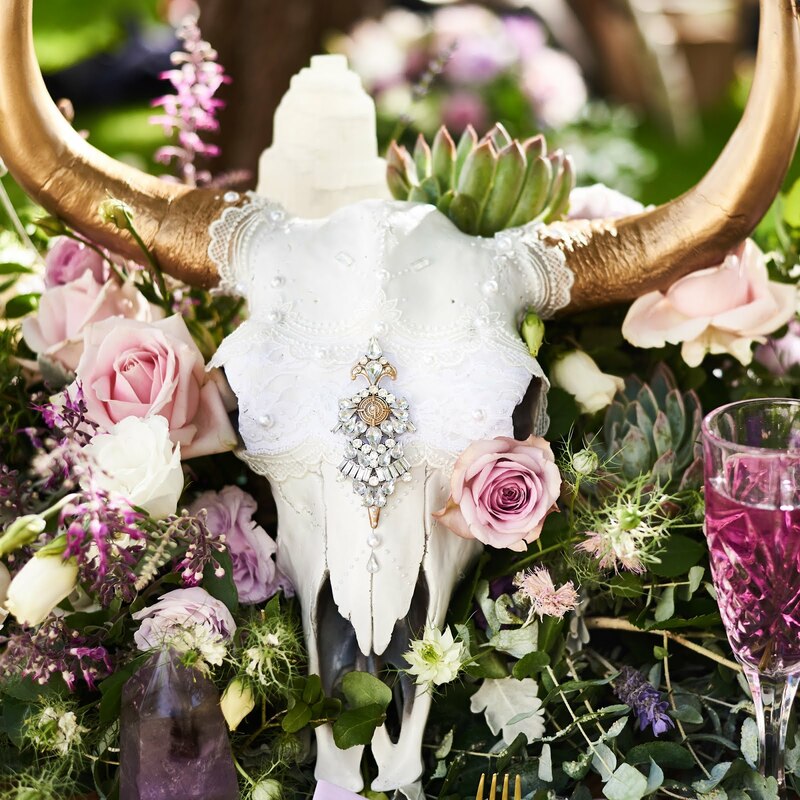 In fact, many brides are looking for something more non-traditional that skips out on the centerpiece diamond and, instead, shows off something a little more unique. Moonstone rings are a great example of this trend and, since they often come in various colors, this is the perfect way to find something one-of- a-kind for that special bride. 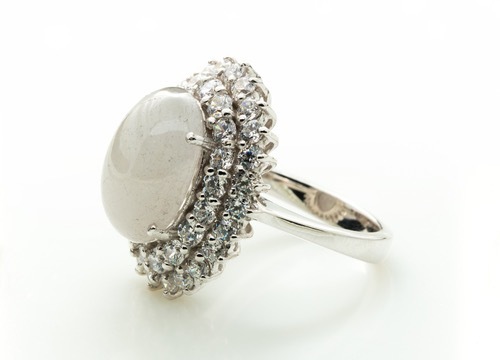 Moonstones certainly create a different look than a large diamond; however, it’s always possible for the ring to be dressed up in smaller diamonds around the moonstone for that sparkling effect if the bride so desires. A moonstone is the perfect engagement ring for a non-traditional bride because, even though the centerpiece shows off more of a solid color than regular diamonds, it’s still very simple to match the design up with any kind of outfit or accent color. 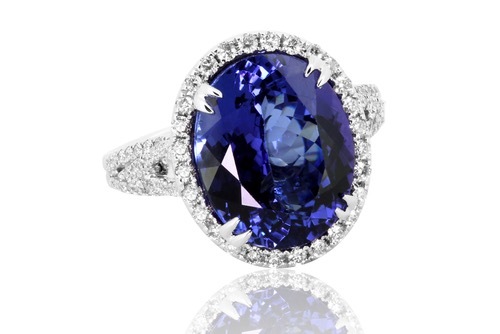 Non-traditional brides who have favorite colors or who love their birthstone are the perfect candidates for the colored gemstone idea for engagement rings. 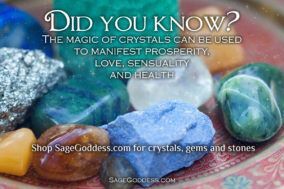 Gemstones can be found in all sorts of colors, from aquamarine and sapphire to morganite and ruby! The options are endless when it comes to gemstones, and brides who are looking for something that mimics the traditional shape while still being able to add a pop of color will definitely love this option. The great thing about gemstones is that they are available in all kinds of shapes and designs. 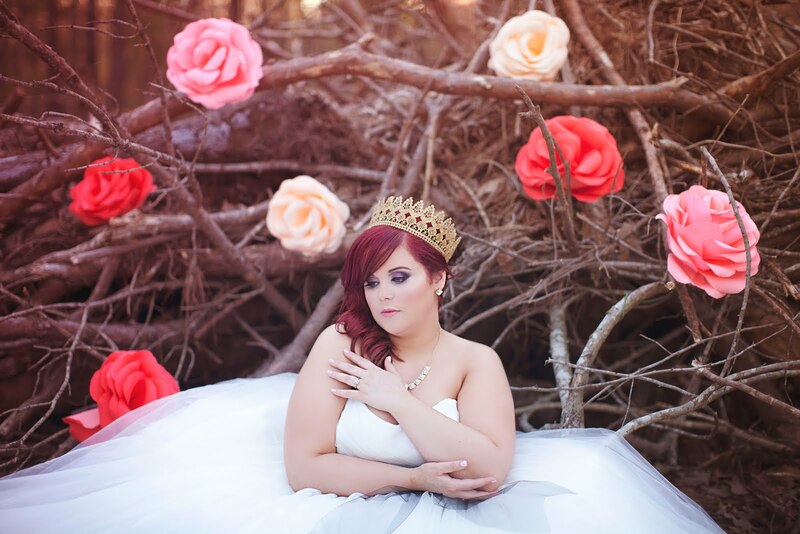 Whether a bride is looking for a circle, oval, or octagon, she can create a look with the perfect color that sparkles and shines in any color of the rainbow. 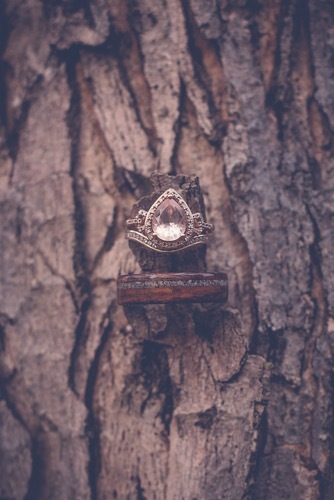 If you want to incorporate the ring into your wedding décor, you might consider adding hints of the gemstone color you choose around the venue or go with embellished wedding invitations that include the color or shape of the ring. It’s not all about the centerpiece in some rings, and non-traditional brides may be looking for something that highlights the band of the ring more than anything else. Luckily, stylish engagement rings can include unique designs in the band of the rings as well, from rope designs to crisscross styles, floral patterns, and everything in between. Be sure to get a close look at every angle of each ring you’re considering, as some may have more detail in their band that wasn’t quite as obvious from far away. Every engagement ring is special, but it’s important to take the time to choose one that really speaks to the bride and reflects their style and personality. If you’re not sure what kind of unique engagement ring to choose, consider these non-traditional designs that are sure to please that special someone.